Made with real-fruit, these gummies have a delicious creamy texture with a sweet, tart flavor that truly embodies the Northwest. These gummies are perfect for preparing for life's adventures, when your on the go, and always perfect for sharing. At 5mg of THC each, these are a great option to micro-dose with or for those who have a lower tolerance. Wyld explores, pushes depths, questions what cannot be done, innovates and maintains an open mind. Wyld respects what others have accomplished while continuing to pioneer each day. 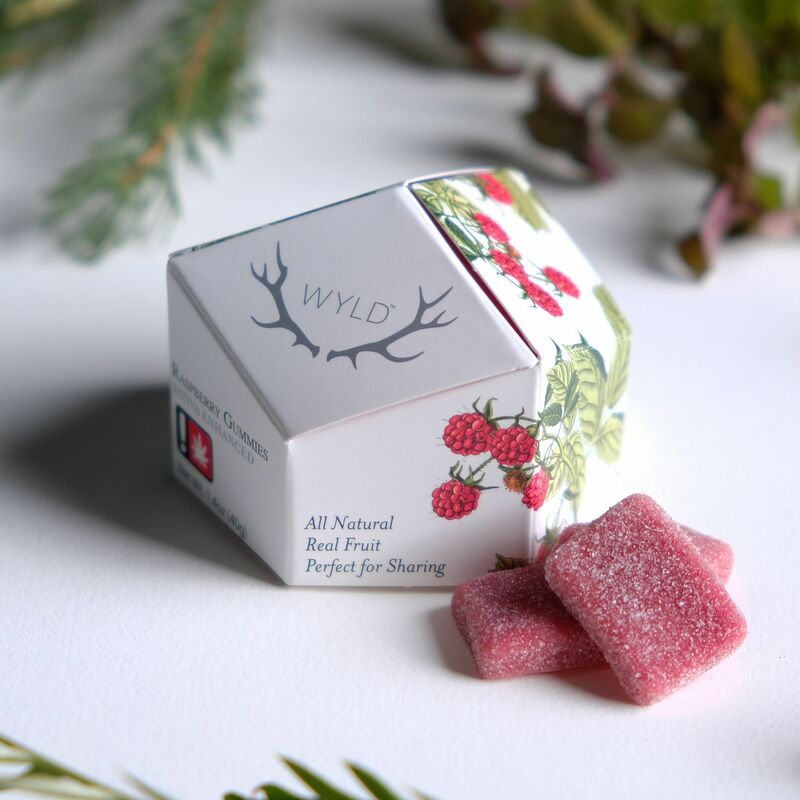 Wyld celebrates what our Pacific Northwest provides us by creating treats that coincide with our ambitions and adventurous lifestyles. Climb cliffs and hike trails; explore our rivers, lakes, oceans, and mountains. Enjoy what brings us together and let Wyld keep us coming back.